WRIR's Spring '11 Fund Drive gets underway on Friday at 5:00 PM. 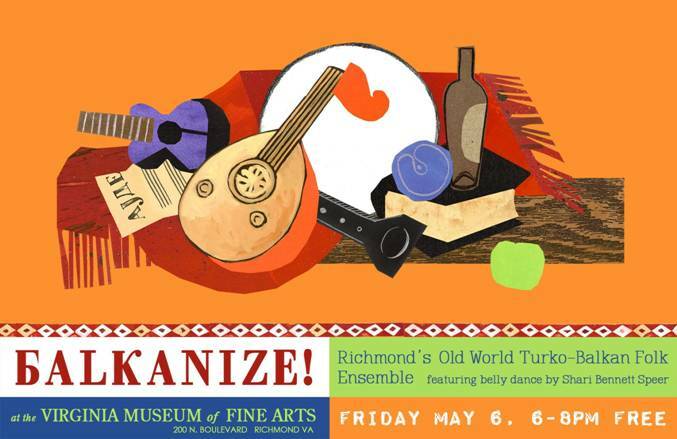 As usual, the Global A Go-Go program has the honor of kicking off the fund drive, and I'm excited that the band BALKANIZE! will perform in WRIR's Live Room beginning at about 5:30 PM. 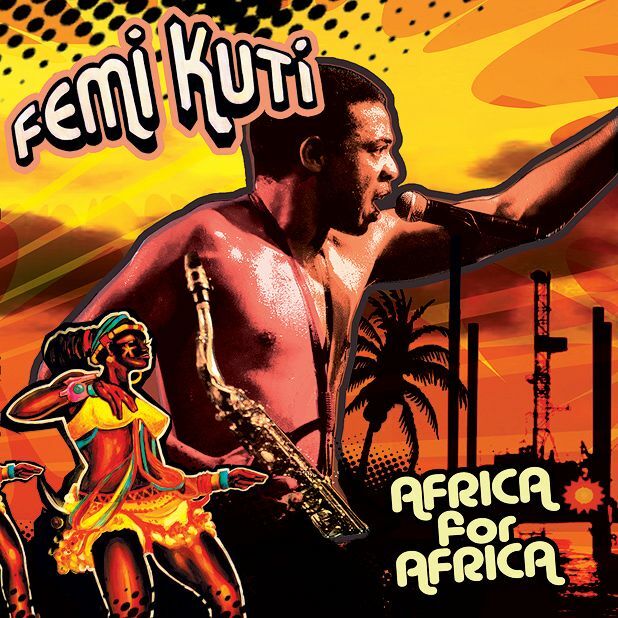 Femi Kuti and Positive Force are making a rare visit to our region -- they're playing on Saturday night at the 9:30 Club in Washington DC. (That's Femi above, from his performance at the Hollywood Bowl in 2009, captured by Timothy Norris for LA Weekly.) Femi's outstanding new record is called Africa For Africa, and I'll play a track from it this week by request. 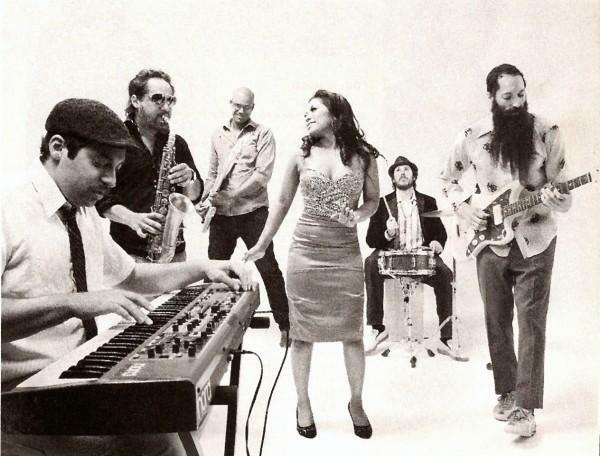 Why don’t more rock bands rock as hard as Dengue Fever? An excellent record that will be on many people’s best-of lists from a band that could easily achieve superstardom in the foreseeable future. 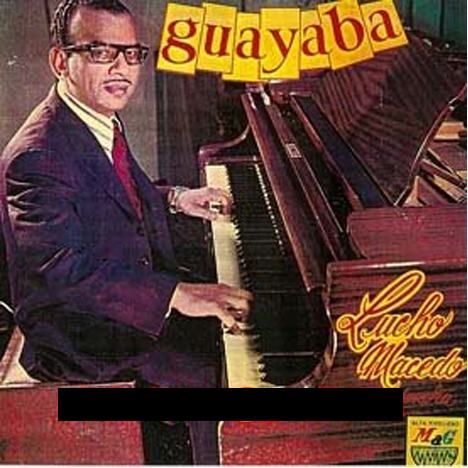 REVIEW: The highly complex yet rhythmically propulsive style called timba dominated the Cuban popular music scene in the 1990’s. Like similarly complex Congolese ndombolo and Senegalese mbalax, timba has been beloved at home but never traveled well at all. 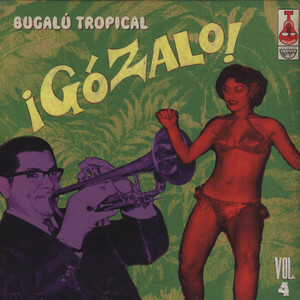 More recently American-influenced reggaeton and hip hop have eclipsed timba’s popularity in Cuba, but here’s a fine record that harkens back to the glory days of bands like Los Van Van, NG La Banda and La Charanga Habanera. 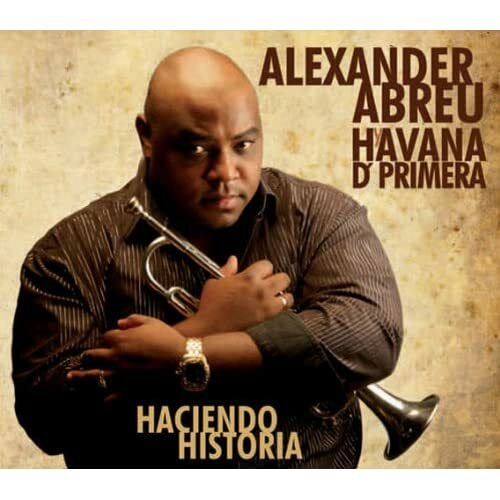 Abreu excels here in all of his hats -- he’s the primary composer, arranger, lead singer and lead soloist on trumpet. Timba is ensemble music, however, so the true star here is the 11-piece band – they whip through these ultra-tricky charts like the best jazz musicians without ever forgetting that, at least by the end of each song, you’ve got to make it work for the dancers. This is dance music at its most sophisticated, like what jazz would have evolved into if it hadn’t turned into sit-down-and-listen music. Excellent stuff. REVIEW: Geoff Berner is a Vancouver-based singer-songwriter-accordionist who started out in a punk-rock band, writes a lot of political material, and has been very interested in klezmer music for the last several years. On this new album (his sixth as a solo artist) he’s found the precise midpoint between Billy Bragg and Gogol Bordello. With production help from Josh (Socalled) Dolgin, the band rocks like crazy. Berner’s lyrics are erudite, voluminous, occasionally off-color, and purposefully angry; his singing has an offhanded brilliance that brings Joe Strummer immediately to mind. With comps like those, he has to be good, and he is – this is certain to be on my best of 2011 shortlist and is recommended to punks, folkies (that don’t mind a little noise), world music fans (ditto) and everyone who thrills when authority gets tweaked. Bravo! REVIEW: Goumour Almoctar, aka Bombino, is a 30-year-old guitarist from Niger who is staking a leadership claim in the next generation of Imazighen (Toureg) desert blues musicians. Like Tinariwen, the legendary Malian band, Bombino’s music evokes American blues with a decided North African modality, and his guitar playing will put you in mind of the great six-string wizards of Mississippi, Chicago and London. On this record, Bombino is more a singer-songwriter than a rocker – most of the material is pretty quiet, and the core band is simply two guitars (frequently acoustic) plus drums. But for my money, the best track here is the 9-minute-long Iyat Idounia Ayasahen (track 7) with its stem-winding guitar solo. Even the mellow material has an intensity that’s rarely heard in Western pop music – I guess that shouldn’t be surprising coming from a man whose adulthood has overlapped with the Toureg civil war and two of whose bandmates were executed by the Niger army in 2007. A fine studio debut, and I’m hoping for many more from Bombino. REVIEW: Here’s the sophomore effort from La Cherga, the Austria-based band whose debut was a surprise favorite of 2008. Croatian bandleader-producer Nevenko Bucan comes out of the fertile Austrian electronic dance music scene, and he’s interested in fusing electronica with a live band. Naturally Balkan beats are a big part of La Cherga’s sound, but they’re equally influenced by Jamaican reggae and dub (their touring band features a Jamaican rhythm section). 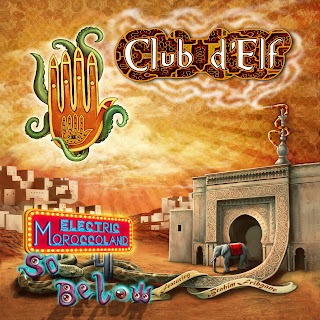 The combination of those two contrasting styles is very similar to Balkan Beat Box’s sound. Like BBB, there’s some hip hop in the mix as well, but new singer Adisa Zvekic from Bosnia is definitely more soul than rap -- interestingly she mainly sings in English here. There are terrific cameos by Serbian toaster MC Killo Killo on track 5 and accordionist Sandy Lopicic on 10. Good record, good ideas, lots of promise here. 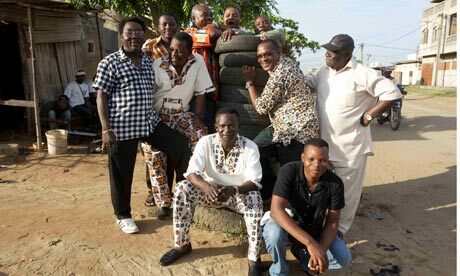 REVIEW: Ebo Taylor is one of the greatest musicians of independence-era West Africa. He studied jazz in London in the 1960’s with Fela Kuti and thereafter spent his entire career in Ghana as a guitarist, bandleader, composer, arranger and producer. He’s still working and put out a fine new album last year on Strut. He came to the attention of a new generation through his inclusion on Soundway Records’ Ghana Soundz compilations (disc 1, tracks 1 and 2 are the songs from those comps). Taylor is frequently called an Afrobeat musician, but his style is lighter and jazzier than Fela’s Africa 70, and the sound of classic Ghanaian highlife echoes in his music as well. Believe it or not, none of Taylor’s classic recordings have been released in Europe or Africa except on multi-artist compilations, so this 2-disc retrospective is both long overdue and a real eye-opener for African music fans. Strut has done a great service to Taylor and to listeners -- this album is a must-have for lovers of West African music and will be a strong contender for best reissue of 2011. I think Record Store Day (this year, it's on Saturday April 16) is the new Christmas -- all the best new releases are timed to have maximum holiday impact. 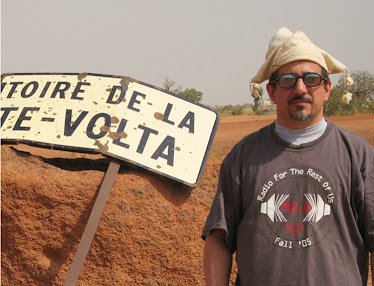 As a result, you'll be hearing plenty of brand-new music this week on Global A Go-Go: Balkan-meets-dub from La Cherga, Geoff Berner's klezmer-folk-protest songs (sounds unlikely, but they're absolutely brilliant), desert blues by Bombino and Femi Kuti's afrobeat. Plus another great project from the folks at Strut -- the pioneering Afrofunk recordings of Ebo Taylor, most of which have never previously been released outside of Ghana.